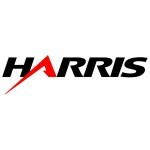 Harris Corp. has been named as the prime contractor on a U.S. Air Force project to an experimental positioning, navigation and timing spacecraft, GPS World reported Monday. The company will produce Navigation Technology Satellite-3 for the Air Force Research Laboratory and the Space and Missile Systems Center. NTS-3 will function as a testbed for technology platforms such as experimental antennas as well as signals, automation methods and use of commercial ground assets. Under the NTS-3 contract, Harris will build a waveform platform intended to help operators generate and transmit new signals. The company also plans to use its electronically steerable phase-array antenna to provide simultaneous broadcast of multiple waveforms in both Earth-coverage and spot-beam configurations. The Air Force aims to launch the satellite sometime in 2022 and use knowledge gained from the project in the development of future GPS and augmentation layers for national PNT systems.